Hey, the intro suggests some real boat building today. Not that all the industrial revolution background isn't interesting - its just not boating. 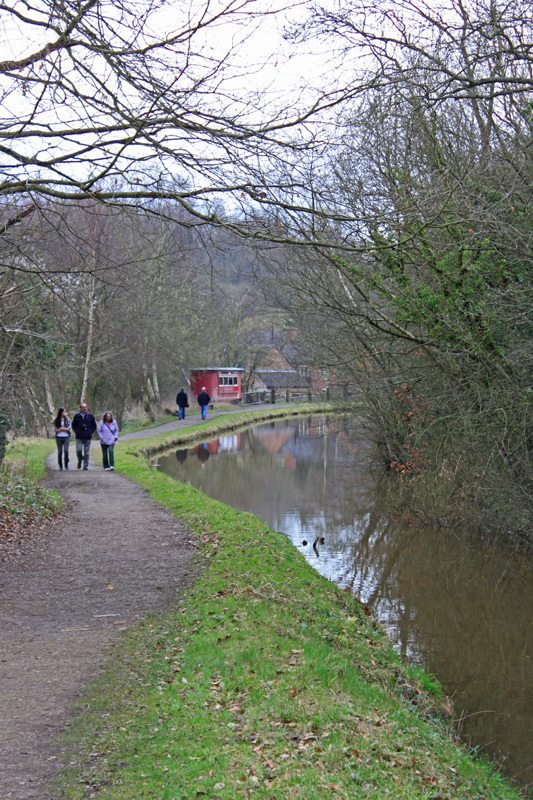 We start at Kidsgrove and the Harecastle tunnel and we are soon into historical facts that I don't already know. I didn't know that the queues to get through the old tunnel could be 5 days long - no wonder they splashed out of a new bigger one 50 years later and what took 11 years the first time round was accomplished in three in 1847. Crash Bank Wallop go the enterprising pair as they shudder into the southern portal, leaving smears of paint on the walls in their wake. An inspection ensues at the northern end, where the damage is surveyed and a repaint is deemed necessary. Have we hit another boat? asks an incredulous Guy. A quick replay of previous footage suggests that for Reckless at least, boating most certainly is a contact sport. We are treated to insight into boating life as they travel up the Macclesfield, reflecting on the desire of the boating community to "paint their narrowboats like a rainbow". Guys take on all this is to create a "domestic palace with flames". Another fascinating fact : did you know that at the time the Maccie was built it cost £6k per mile versus £2k for a railway. Its a miracle that this late addition to the system ever came into being at all. 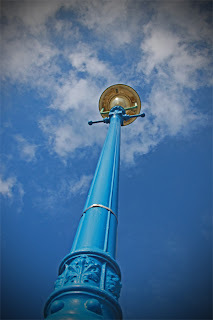 Macclesfield Marina is visited / plundered for ideas on paint schemes. They settle on Oxford Blue and true to form, no sooner do they get the paintbrushes out, than the heavens opened. That is very true to life. It tipped it down and I think I would have been tempted to retire for a cup of tea and hope for better better conditions tomorrow. Guy takes some time out to explore the concept of the turnover / roving bridge, an architectural novelty which is almost a trademark of this canal. 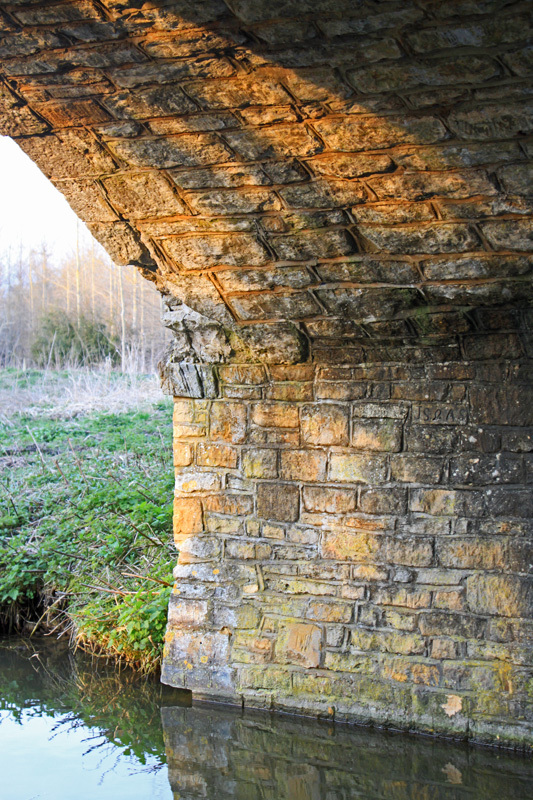 Unlike the uninformed hoodie in Birmingham, all the locals know about these curious bridges which allowed horses to swap sides without unhitching the tow rope. As for Macclesfield itself, we learn that it was home to 120 mills, although just Paradise Mill exists today, showcasing the silk technology on which the town's prosperity was founded. Making silk is a precision job with 500 threads going into each and every inch of fabric. Production was slow with 12 hours manual effort offering just 3 meters of fabric, or enough to make a single dress. No wonder silk was a luxury item. The machinery was as impressive as the finished product, using a punch card system which in itself took 5 years to master. Powered looms speeded things up tenfold and suddenly it was a product for the masses. Guy walked away proudly clutching some souvenirs, a silk cushion and a couple of rather attractive silk canal scenes for the walls. Back on board, Mavis was having a crack at the signwriting aided and abetted by the talented Meg Gregory. He was well up for a having a go but never mind the lines too much!. At least they got the spelling right. Inside Guy is attacking the walls, covering them with hand printed William Morris wallpaper. But clearly Mr Morris's hand printing wasn't enough because Guy opts to add his own hand prints to the design - why doesn't he wash his hands before wallpapering? I have to say that his attempts at paper hanging are unbelievably lame - for a skilled mechanic I don't believe he is as inept as he makes out. Hamming things up for the camera I suspect? We then have a roses and castles masterclass with Meg doing the right hand side and Guy the left. This bit was really interesting, a sort of cross between the practical tasks from the generation game and a Rolf Harris - "can you see what it is yet?" moment. The closing scene represented a show and tell moment when they generously offered each other a 9:10 for jobs well done. If I am being honest I am not sure that their attempts justify such a high score, but watching then try to master a skilled craft earned a 10:10 for effort in my book. We see Reckless sailing away into the sunset and its final episode, resplendent in a deep blue paint job, sharp sign writing, gleaming artwork - and flames erupting from the bows. Somehow, from these lads I wouldn't expect anything less. All in all the best episode to date. 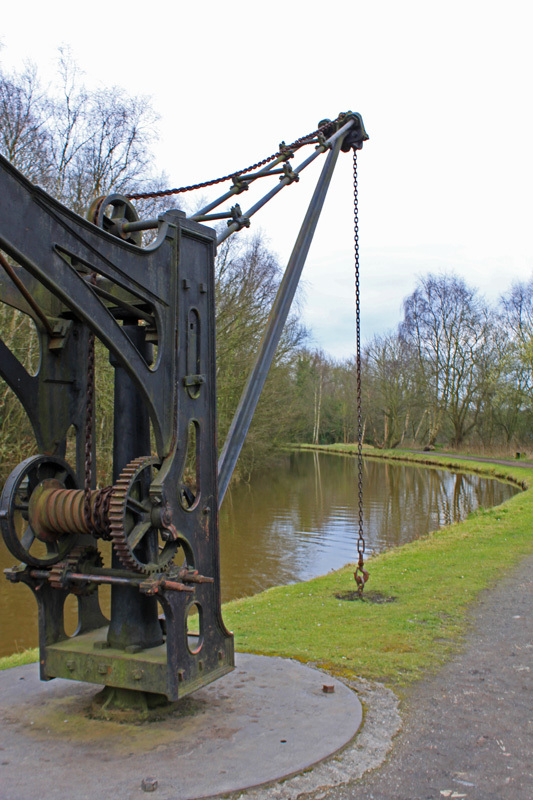 Lots more canal history, canal architecture and practical boat building stuff. Excellent. 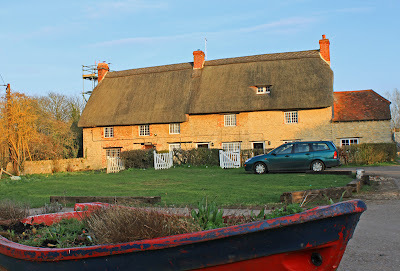 Pub and Restaurant reviews - a whole new genre of post for the Blog - how very exciting. 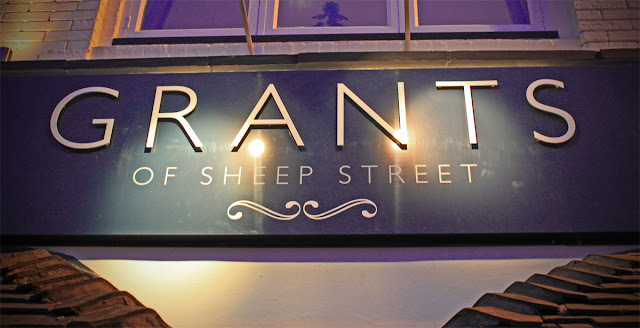 The first review is Grants of Sheep St, a mouthwatering eatery in the heart of Stratford, about 100 metres from the Bancroft Basin moorings, which we sampled last night. This is quite a new eatery for Stratford, but one which is quickly establishing an enviable reputation as "the" place to dine. It can best be described as urban chic, clean and minimalist but serving food which excellent to the point of sublime, but thankfully a visit doesn't have to break the bank. Toilets 5:5 - always a good test - Incredibly clean with individual real hand towels! 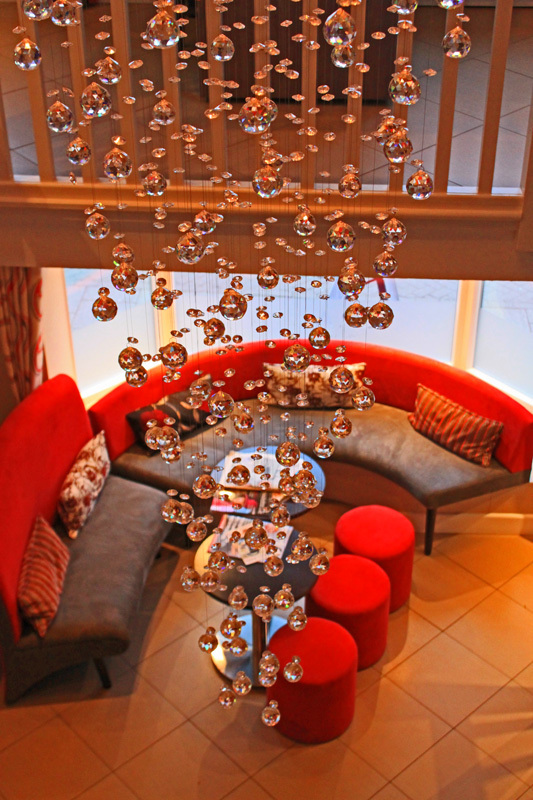 The is a fixed price menu which offers a three course meal with three choices at each course, all for £15 a head. Then we had wine and coffee and still emerged having spent less than £50. Not bad at all considering the quality of the place. If you have a bit more cash there is always the always the a la carte menu, which offers more choice but the quality remains consistently high. The secret is out about Grants and you will need to make a reservation of you want a table at the weekends. 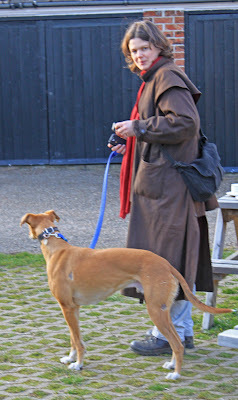 Its not just the regular punters that are flocking in - the thespian crowd have cottoned on, and there is a fair chance of some serious lovey spotting as the casts often hold their end of run parties here. If you do go, and you really should, make a point of going up to the 1st floor bar and then go out onto the roof patio. It offers a fine view of the new RSC theatre building. I picked this book up in high hopes having thoroughly enjoyed its prequel, The Shakespeare Secret. I shouldn't have bothered - it was twaddle from cover to cover and I would have given up on it had I not been stuck on the train for three hours with nothing else to read, except the London Evening Standard. 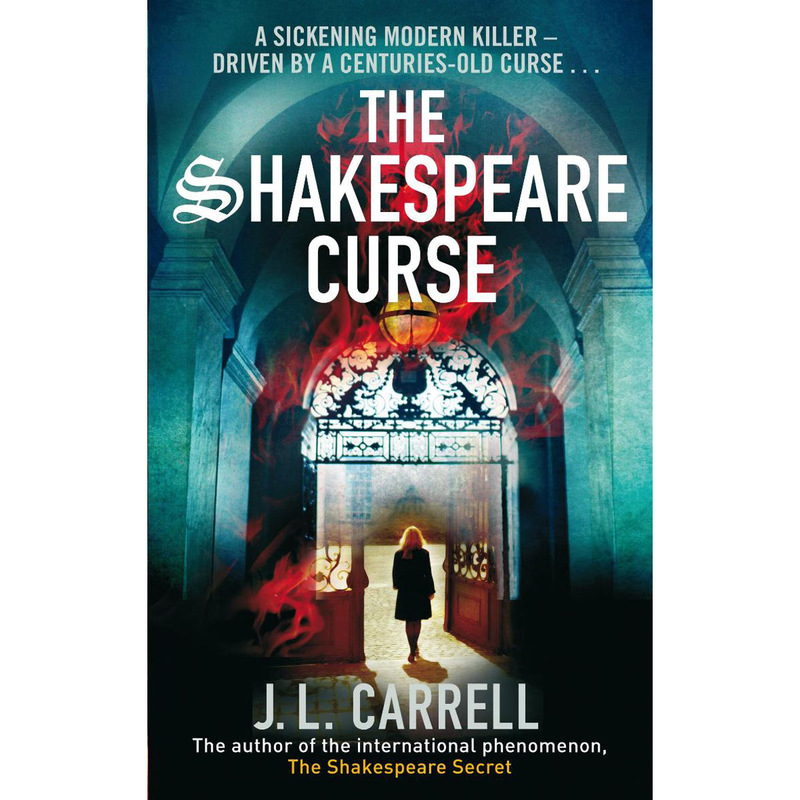 The plot follows the story of Macbeth, with the author exploring the possibility that the apparently incongruous insertion of the slapstick witches in the play (double, double, toil and trouble) and follows an assumption that Shakespeare was party to a black magic ritual which he inserted into Macbeth, only to remove it before the First Folio was published as he was in fear of the demonic spirits it conjured up on stage. The plot then jumps across 400 years as the ancient past is brought to life with followers of the dark arts seeking out the original text to invoke an apparition of their own - leaving a train of sacrificial murders in their wake. I started out assuming that the magic bit was a smokescreen for a more earth bound plot but it wasn't to be. It was hocus pocus from end to end, mumbo jumbo all the way - utter unbelievable bilge. Maybe I live too deeply in a post modern society, where spells and magical arts are relegated to the childish world of Harry Potter. The basic premise was fanciful, lacked credibility and as a result the book was a bore, only finished by stint of skim reading and lack of anything else to occupy my time. If you see this book lurking on a bookshelf somewhere, pass it by. OK, there seems to be a view that I am dissing this programme, and that I really don't like it. 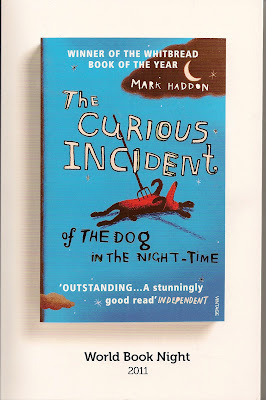 This is well wide of the mark - its quite a charming series which totally engages with the schoolboy scientist within. If I really found it annoying I wouldn't watch each week. Mind you, I still think there could be more about canals, but that clearly isn't going to happen so I will stop banging on about it. So, tonight is on the theme of food - a subject which is close to my heart. First its make a can of baked beans, then make some cutlery and finally bake some bread and toast it in a 1st generation toaster. Lots of interest there. Baked beans in a can - how hard can that be? Well actually - very hard. Take a sheet of very thin iron in a Cannock "tinnery", do some magic with acid and water and then dip it in super heated and super expensive tin (£50k a drum). Cut out a top and a bottom, hammer the edges over and then solder the joints up. Its a slow job and 200 years ago a factory could produce maybe 60 per day, compared to 2,000 a minute today. Cans used to be a luxury item when they were invented in 1824. Making the can, with its hole in the lid, was interesting but getting the beans in was pure slapstick. There was no way the beans were going down the funnel and in the end they resorted to the time honored approach of stuffing them in with their fingers. A quick shift up to Sheffield, cradle of UK cutlery manufacture - an area which used to make 97% of all the UK's cutlery. But wait a minute - did you know that to be cutlery the item has to "cut" so forks and knives are in but spoons are out. I never knew that. Along the way they examined a spoon press and we saw a tiny reproduction of the Lords Prayer on a pendant - a testimony to both Gods faithfulness and the quality of the Sheffield press setters. The end result was impressive by any standard. I would be very proud of what Guy produced. Good on you mate. Now this was a sort of a two part challenge. Guy was off to the Hovis factory where we learned about the hand mixing of wheat, water and yeast - oh and also the importance of washing your hands which probably isn't one of Guys strong points. I was particularly taken with the sight of the yeast being killed and reduced to a liquid by the addition of salt. Is there such a thing as the yeast protection league out there. My grandfather used to grow a yeast plant to supply his manufacture of ginger beer. Now Thomas W Cooke was a tee total man but with an inventive streak, and he loved making his ginger beer - and supplying me with a steady supply. What he didn't seem to realise (and my father found very funny) was that it had a super high alcohol content - on a par with the stongest beer. So there I was, an innocent little school boy downing half pints of a stong brew given to be by a very devout local preacher! The bread looked excellent - as good as the stuff my mother used to bake. But of course, as a child I didn't appreciate it. It was so unfair - why couldn't I have plastic white shop bought like all my mates. And as for the toaster, Mave showed how to generate a stunning 10 milliwatts by turning a copper disc within a magnet. It wouldn't solve Japan's power crisis but it would be a whole lot safer. Then onto a rebuilt "Eclipse" toaster, manufactured by Crompton. I loved to see the bread cut with a tenon saw - I must try that at home one day, Belle would do her fruit! Beans - absolutely terrible but it was a cooking problem, not an issue with the tin. All in all - wern't those industrial revolution boyo's a bunch of clever chappies! 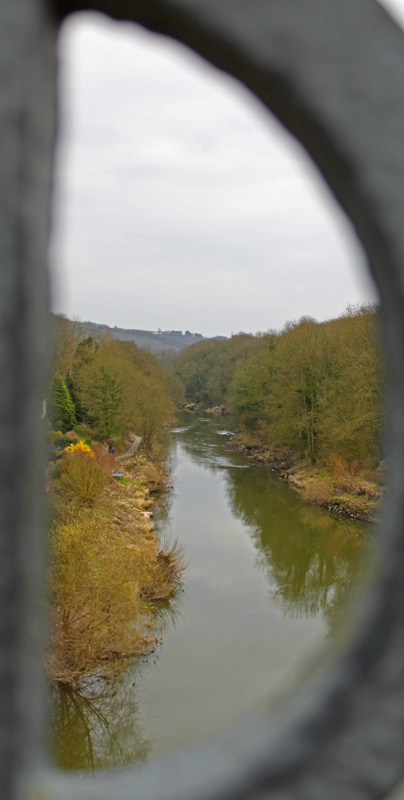 My visit to Blist Hill included a flying visit to Coalbrookdale, paying homage to Abraham Derby III's masterpiece - the very first Iron Bridge ever constructed. This technical marvel was built in 1779 spanning the Ironbridge Gorge via an unprecedented 100ft cast iron span. The true marvel is that here we are on a cold and wet afternoon nearly 250 years later and still the bridge is pulling in the crowds. Sure the weary old lady is no longer expected to carry road traffic, but she is spick and span in good repair - thriving under its World Heritage Site status. There is a strange law at work in the world, the law of unintended consequence. You plan one thing and an unexpected consequence pops out of the ether. An unexpected consequence of Jeff's move to Bournemouth is that the mid point of the trip is Oxford, and that provides a perfect oppopportunity to stop off to see our friends at Thrupp. Following a sun kissed weekend on the south coast (unusual for March) we decided to stop off at Annies Tea Room, and along the way we met up with Bones. We wandered along the towpath under a warm spring sun, bumping into Maffi who was refilling his boat with water. We all trouped into Annies Tea Room and ordered the most enormous cream teas, which we tucked away under the watchful eyes of Boots and Molly. Every crumb was scrutinised and in the end even the hardest heart couldn't hold out and both dogs wolfed down the final chunks. Thrupp is rapidly becoming one of my favourite places on the canals, good pubs, good food, good scenery and most of all - good friends. Then it comes right down to it, it doesn't get much better than that. I had a new carpentry experience last week, but before I go into that a bit of background is necessary. Whilst there is much I love about Wand'ring Bark, I don't love her tiller. It's like Belle and my feet, I know she loves me dearly but she is less than fascinated by my feet - odd, but true. When Wand'ring Barks builders made her tiller they must have resorted to the ministry of crap design. I can well imagine them casting round the yard for something that will "do the job" and alighting on a scaffold pole. The said steel pole was bent into shape and a lump of wood was hammered onto the end of the overlong tiller arm, but this arm was so long it swept any passengers into the cut, which wasn't very popular. This arrangement lasted one whole day before I took a hacksaw to it and removed about a foot, hammering the wooden handle on the new end. Over the years the handle has rotted and about two years ago I spent a week's holiday picking the soft bits out with a key. The next year I filled it with plastic wood but after a year this came loose again and I spent most of 2010 with it held on place with Duck Tape. My failure to replace it wasn't due to a lack of effort. I looked in every chandlers I came across, but no one had anything which would fit. Then, a week ago, I was working in my front garden and a neighbour walked by and we engaged in conversation. Suddenly I remembered him telling me he was keen on carpentry, and that he had a lathe. So I asked if he could help me resolve my tiller problem. He was delighted, found out a suitable hardwood off cut, and we agreed on an evening when I would go round and he would show me how to do it. Now, I havn't used a lathe since I was at school but I was very keen to give it a go. 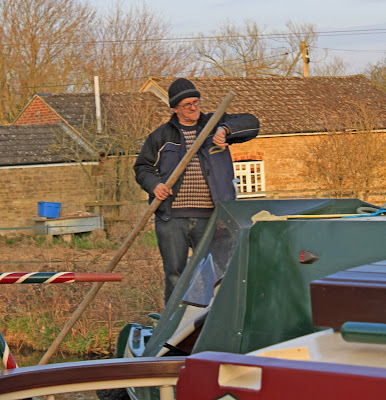 After a few clonks and bumps I got the hang of it and managed to fashion a handle which fits snugly in the tiller, and was comfortable in my hand. 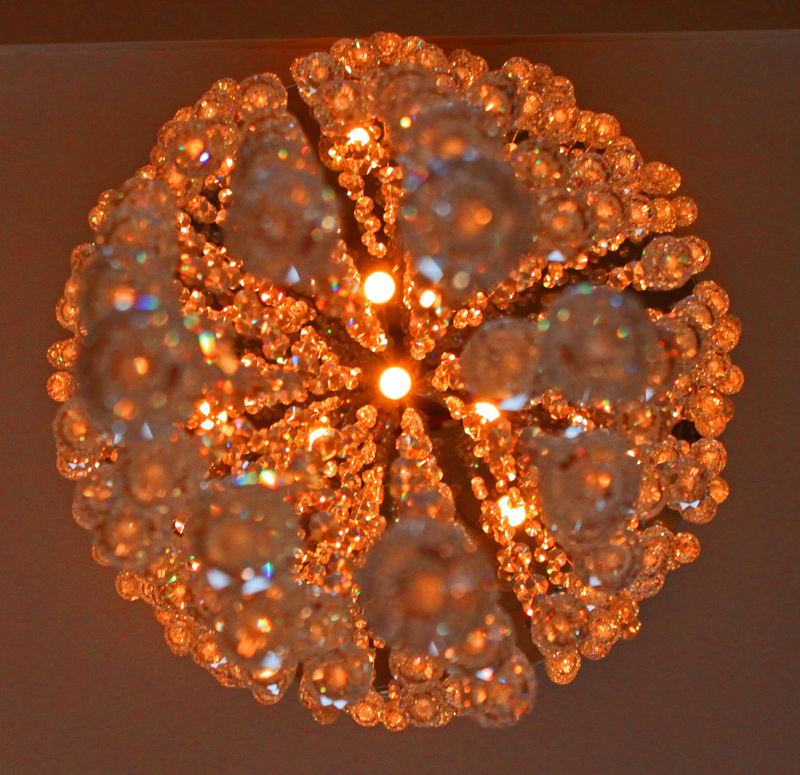 If may not be a professional job but it is functional and most importantly it is my work. So, I may still covet all those of you out there with your shiny brass tillers, but I do have a home made handle and somehow I think I am going to get rather attached to it. Its good to get a handle on ones dreams. 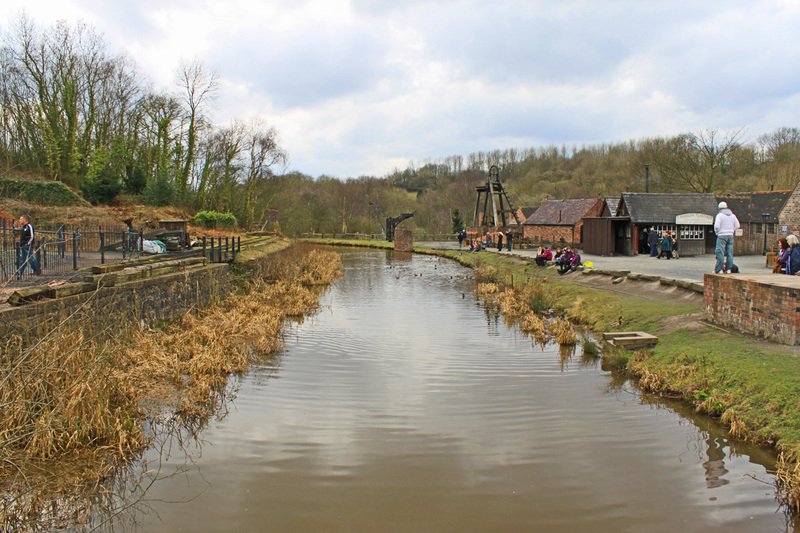 First up, its not really called the Blist Hill Tub Boat Canal, its just happens that the last remaining section of this waterway is preserved in the Blist Hill Museum Complex. 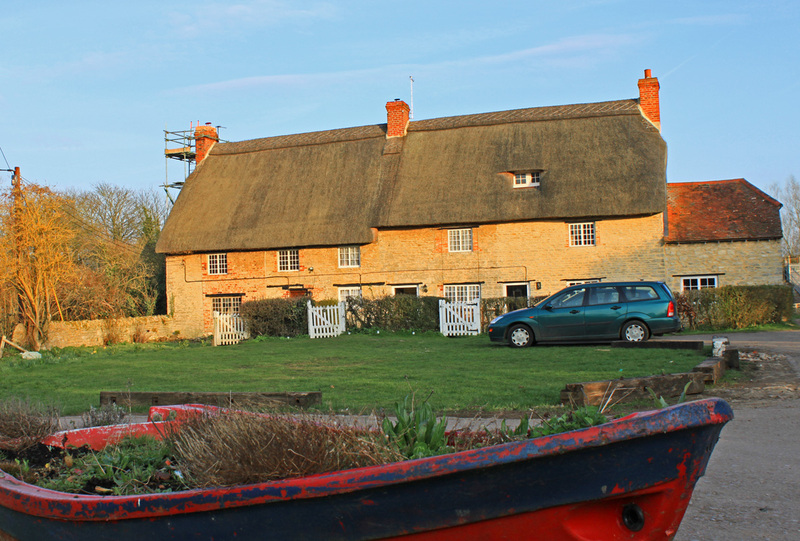 I have always looked a bit askance at Tub Boat canals, thinking that as they were never connected to the main system, and not navigable by "proper" narrowboats they were in some way second rate waterways, and of no real interest. Now, all that changed last year as I explored the Shrewsbury canal, which was originally built as a tub boat canal and then enlarged to full narrowboat dimensions when the link from Newport to Norbury Junction on the Shroppie was constructed. 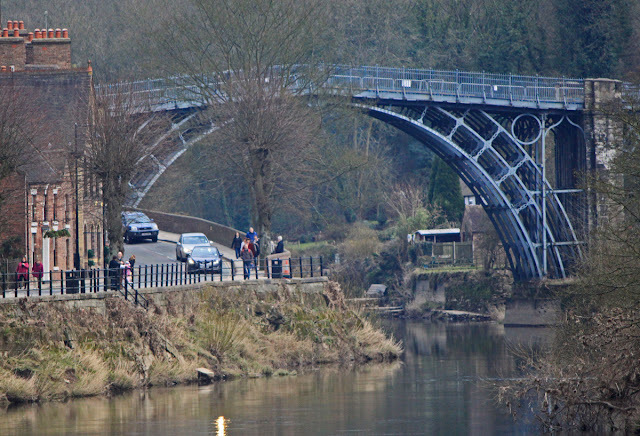 Whilst the through route to Shrewsbury was upgraded, a whole network of tub boat canals operated for over a hundred years from Newport (Trench Inclined Plane) to Ironbridge, moving coal and minerals over the area now covered by Telford's sprawl. The boats may have been unpowered tubs, but they formed a vital element if the prosperity of the region. The tubbs were nearly full width (6ft 6") and with a depth of about four feet the horse drawn trains of tubs were incredibly effective. The big difference with these canals was their need to traverse hilly terrain with very limited water supplies. The answer was the development of the inclined plane, but more of that another time. The vibes from the boating community are not positive about Reckless Eric / Guy. I think the problem lies in the title. A good programme should do what is says on the tin, and this one doesn't. Guy isn't really building a boat. In fact he has a part finished sail away and he is using its unfinished elements to showcase engineering solutions from the industrial revolution. Interesting in their own way, but with little to do with the task of building canal boats. Perhaps the bit that grates any more is the devil may care approached Guy has to boating and health and safety in general. I heard the collective intake of breath during the closing credits of episode 2 when he hauled himself onto a bridge and jumped down onto the roof on the far side. I am sure we have all done similar things, but they are really dangerous and those of us that have survived to be older and wiser wouldn't want to see others trying this for themselves. So, episode three - here goes. So, Its all about cotton this week. Time to build a bed on Reckless, so maybe we will finally get a bit of real boat building. We live in hope. First up its the task of making sheets and Guy's knowledge on the subject? "the thick end of not a lot". Where does he go? - where else other than Richard Arkwright's mill at the end of the Cromford Canal, one of my favourite disconnected sections. Sadly the opportunity to look at this fascinating waterway was completely overlooked which is a huge shame. But what a fascinating behind the scenes tour of the world of Richard Arkwright, even a glimpse at a listed pig sty's and a private jail. Where does cotton come from? Not from the back of sheep as proposed by the hapless Guy - oops, schoolboy blunder there! But watching a 200 year old machine make 10ft of cloth in an hour is impressive, with the flying shuttle zipping back and forth at 60 mph. The loom is so rickety its a wonder it can produce such a good end result. Then its a search for a new mattress and a visit to the Hypnos factory, where we are walked through the history of mattress making. Straw to Horse Tail in the 1500's, then Lambs Wool and on to the open spring mattress in the 1800's before the final refinement of the pocket spring mattress, invented by an Englishman. I like the tufting process - now I know what goes into putting my mattress together. Back to the boat and we find Mave hard at work building walls, doors and of course, the base of a bed. Is this really the Boat that Guy built? I'm thinking the credit should really go to Mave. If you have a bed you also need to be woken up, so an alarm clock is needed. 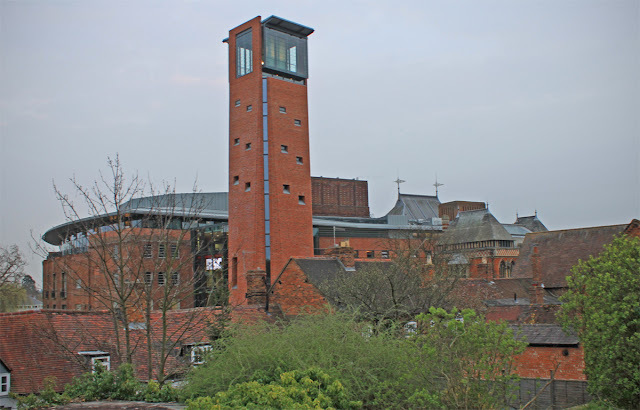 Its off to Derby Cathedral for a swift lesson in pendulum clocks and steeple jacking, progressing to the the story of the Chronometer where £20,000 was offered for a solution to time keeping at sea. John Harrison (another Lincolnshire man) found the solution using a balance wheel. Those early clocks didn't come cheap - they cost 1/2 the price of the boat itself. As for the alarm, a ships bell was fitted to the roof of Reckless - an odd arrangement is you are trying to wake an occupant. But its even more troublesome if they plan to take Reckless through the low Harecastle Tunnel, or even the lower Froghall bore. We have been wanting to see this film for months, since it was released way back before Belle's accident. But with Belle's eyesight not returning to its normal self as fast as we had hoped, the trip to the cinema was much delayed. In the meantime Colin Firth was nominated for and duly received his Best Actor Oscar for his portrayal of the tongue tied King George VI. Such is the success of the film that it is still showing regularly at our local Showcase, which was good news for us. This is a truly great film, one which unusually portrays the Royal Family in a very human and positive light. The background to the story is well known - George V dies and Edward assumes the crown, only to fall for Mrs Simpson and then abdicates. This thrusts George unexpectedly onto the throne on the eve of World War Two. But king George has a problem - a major speech impediment which renders him tongue tied when speaking publicly - which is a major problem in his line of work. His wife (the perennially lovely Helen Bonham-Carter) finds an unorthodox speech therapist and so the story continues. The tale covers the unsteady blooming of their friendship, an unusual partnership of equals in world where kings and commoners don't usually meet. 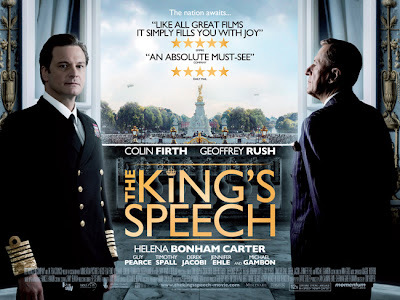 The film drags you in , the audience willing him on over every faltering syllable culminating in the powerful delivery of The Kings Speech at the outbreak of war. The crowds cheered, the radio technicians cheered, his family cheered and so did we inside our hearts. Its a heart warming tale of triumph over adversity, a human king facing his fears and leading a frightened nation into war. 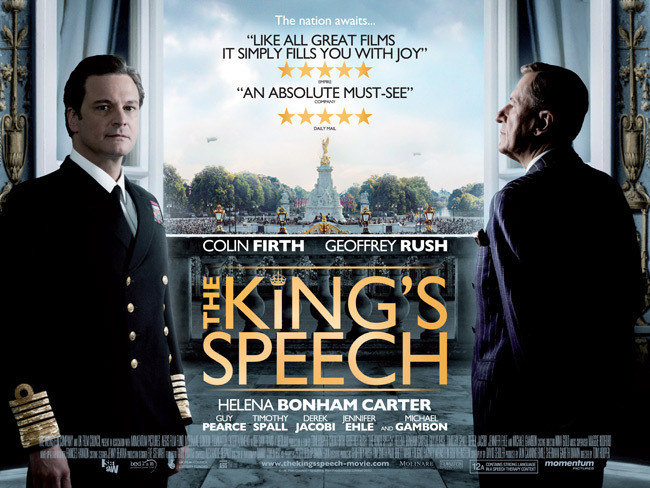 Well worth a watch and Colin Firth is a worthy winner of his Oscar. The Census aint what it used to be. Back in the time of Christ the whole family had to pack its bags and return to the village where the head of the household was born, a journey which could take weeks. Not so any more. Today I received the latest Census papers which include a 32 page paper booklet for completion. I sat down with a heavy heart resigned to an evening of form filling, only to realise that things have moved on since I last completed one. The internet has happened! The Census has an optional internet delivery channel. All you have to do is type in your households unique number and away you go. Whilst this is a Government system you shouldn't hold that against it - it works really well. Whereas the paper version is long and cumbersome, having to cover all the possible bases, the internet version is "intelligent" and automatically deletes all irrelevant questions leaving you to fill in only what matters. I rattled through the process in less time than it has taken to write this post - about 10 mins. Amazing. The one thing that did make me stop and think was the question "is there another address where you reside for more than 30 days per year" (I paraphrase slightly). The true answer is yes - aboard Wand'ring Bark but of course, that is a very peripatetic reside. 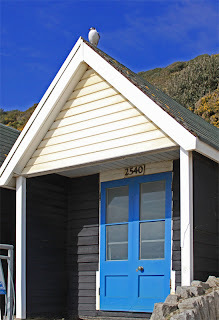 If it was a holiday cottage I would have had to give its address but I couldn't very well say "anywhere on the 4,000 miles on navigable waterways" so I said no - which I think was the right answer. I guess the location issue presents a problem to you continuous cruisers out there? Well, if the internet had been around 2000 years ago Joseph and Mary wouldn't have gone to Bethlehem, Jesus wouldn't have been born in a stable, Herod wouldn't have killed all those babies and the Shepherds and Wise Men would have remained in obscurity. Its the BCN - great start but its raining stair rods, so no change there. First up its project shower and cue a steam powered instant water heater, or a geyser created in the confines of Sherborne Wharf. Instant hot water - "look chief" is the excited cry! But lets scale it up and blow up a shed with propane. Hmm, must remember not to mess with gas on a boat. Next solution its a simple header tank on the solid fuel stove - but the twist is to pump the water with a steam engine. A lovely little model turning a drill pump our out gushes hot water. Well, maybe not at first, but finally Guy gets a dousing all rinsed off with fat soap. It works but I am not sure that the faff with the steam engine will catch on. On to Boulton and Watt and their 1817 beam engine lurking in a Birmingham roundabout (near Waterlinks). It was revolutionary - 70% more efficient that its predecessor when pumping water but the ever enthusiastic Guy is appalled at the graffiti. You can tell he is a country lad - if you live in Birmingham you get immune to graffiti. Showers needs soap and that means fat from a Bromsgrove butcher. Fat? Yes fat. Chopped and then rendered (boiled) and caustic soda added in to create a version of Pears Soap. Add the scent of sandalwood and Earl Gay tea and its into a mould to set. A lifetimes supply of soap - guess Guy dosn't wash too much! The glimpse at Thomas Crappers world of sanitary ware provided a rich seam of schoolboy humour. Time for a quick competitive flush off. A bit surreal and the winners were the Crapper Kensington and Dolphin. Not sure what it proved but so what. A cheap laugh is better then no laugh at all! And so it concludes, another fragmented episode flitting from innovation to innovation but never really focusing on the boat. I don't think the boat is is really going to be restored at all, its just a base to play industrial revolution Mythbusters. Oh, Guy is from Lincolnshire - not Lanscashire as I observed last week. Last Friday was the first I had heard of World Book Evening. A colleague did a round robin e-mail advising the whole building that he has 40 copies of the above book to give away as part of the World Book Evening. I was attracted to The Curious Incident by its subject matter. It's billed as as a detective story but written from the perspective of Christopher John Francis Boone who is aged 15 and most crucially he suffers from Aspergers Syndrome (AS). Now Aspergers is one particular colour on the Autistic Spectrum and over the last few years I have had lots of exposure to ASD (Autistic Spectrum Disorders) and AS in particular, so I grabbed the opportunity to pick up a copy. On returning to my team, a colleague volunteered that he had read it, or a least half of it and at the start found it really funny but then it stopped being funny so he gave up. I read the book through in 24 hours and found it totally compelling. The storyline is told in Christopher's voice as he writes his own book about his investigation to find the killer of a neighbours dog. The strange aspect of this story is the insight it offers onto life with Aspergers, the literalism, the need for structure and the seemingly irrational aversions - in Christopher's case the colours yellow and brown which rules out bananas which start yellow and then turn brown. The thing about ASD is that, as its name suggests, it is a spectrum and what is true of one is not necessarily the same in another. But then there are overriding similarities which you can see time and time again - the words may change but the song remains the same. In this case Christopher is a near genius at Maths and things Scientific but is utterly incapable of reading faces or the host of non verbal communications we use all day every day. This makes life very difficult for him. For me the interesting thing is the perspective. It's life through the eyes of the sufferer whereas my exposure has been from the carers point of view. Looking after young people with ASD is no walk in the park and the book dramatically illustrates the damage it can inflict on parents. When you are faced with an unremitting struggle and you cant argue with the child so you end up in conflict with your partner.The wisest advice I have been given is "love and cherish your wife and when you are all done with that cherish her some more". Easier said than done but sound words. If you have anyone with AS or ASD in your family or circle of friends, get your hands on this book and you will get an insight into a different and very frightening world, one which we share but barely comprehend. As for the World Book Evening, the deal is that the books are read and passed on for others to share. So I need someone to take this book and read it, before passing it on once again and logging it onto the World Book Evening's website. So if this is of interest let me know and I will post it to you - not to own but to read and pass on. 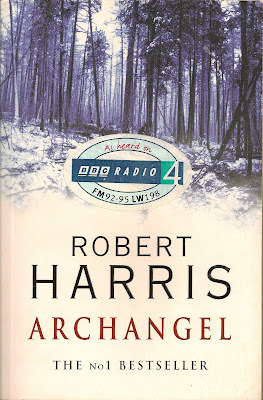 After a shaky start with Robert Harris' Lustrum I find myself really getting into his work. Pillars of the Earth was great and when I saw Archangel on my brother in law's bookshelf I jumped at the chance to borrow it. It has a slightly stumbling and unstructured start which worried me, but then the book really got into its stride and I was captivated. It's a tale of mystery and intrigue with Kelso, the main character, seeking the whereabouts of Stalin's last leather bound notebook. After plunging into Moscow's underworld Kelso tracked down the book only to discover that instead of providing an insight into Stalin's last days it offered a route map to a much more tangible legacy. 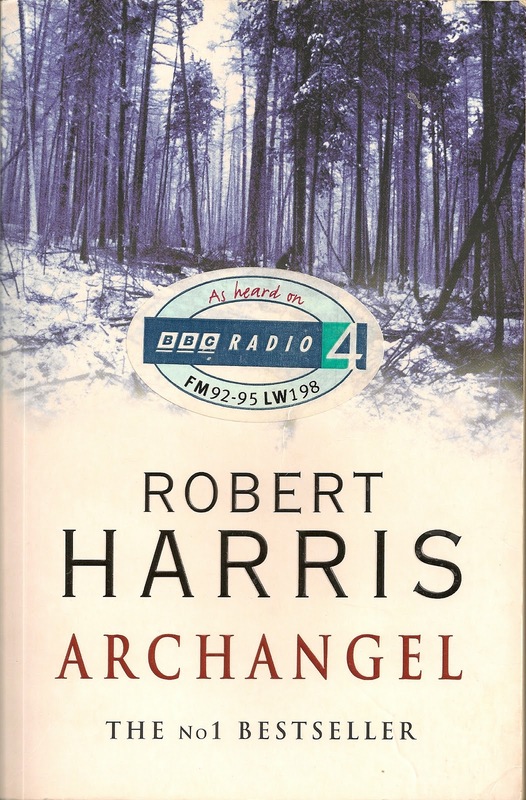 Kelso, a historian specialising in post Cold War Russia, links up with a TV reporter and strikes off to Archangel to track down the truth behind the book. The book sweeps you into a gripping finale, with the storyline as chilling as the tundra they has to traverse. In the final analysis, far from being the puppeteer, Kelso is the man having his strings pulled. All intriguing and believable. The final page contains a neat twist in the take, but one which rounds off the story rather than undermining the whole plot. All in all a quality read - you won't be disappointed. Its all change at Ahab mansions. After 18 months of struggle we have finally secured a place for Jeff at 6th form college in Bournemouth, and the 1st March was his very first day. 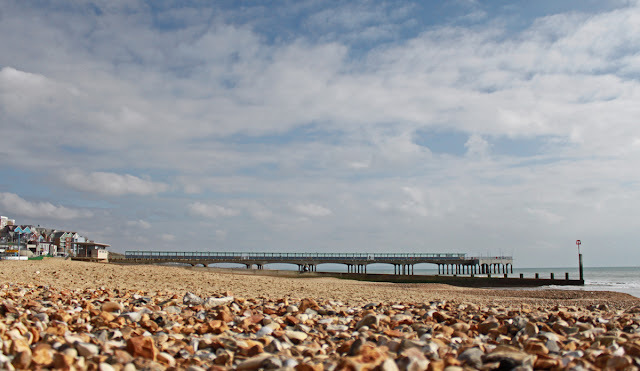 I took a day off work and the three of us (Belle, Jeff and myself) set off for the south coast armed with bags of kit and all the paraphernalia needed to sustain him till he returns at Easter. There is a lot of waterway interest in the journey as we cross the Oxford Canal, then the Thames and onto the Kennet and Avon. All duly pointed out to Belle as we sped along. 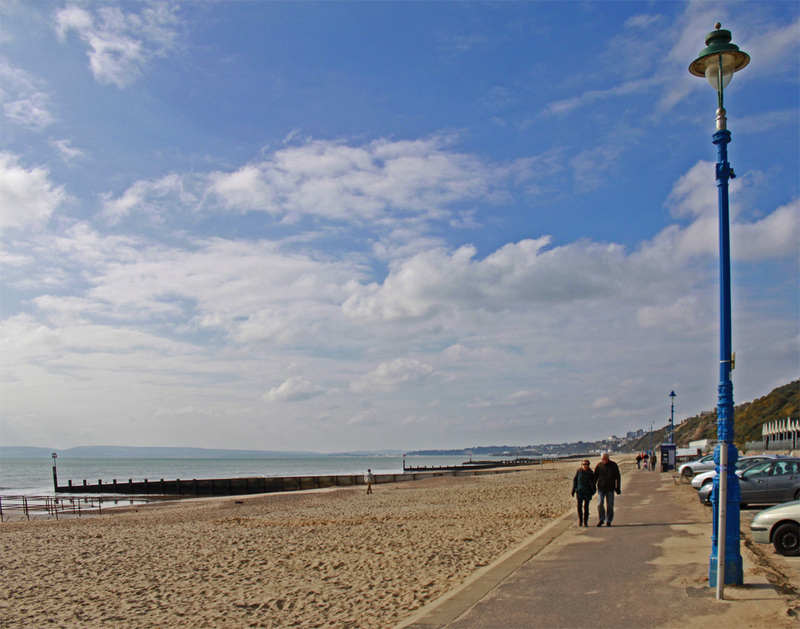 We arrived at Bournemouth (Boscombe to be exact) in time for a picnic lunch down by the sea, a spot which offered some good photo opportunities with the spring sunshine showing through. Jeff tells me that Cheryl Cole has a house nearby, but there was no sight of her on the promenade today. 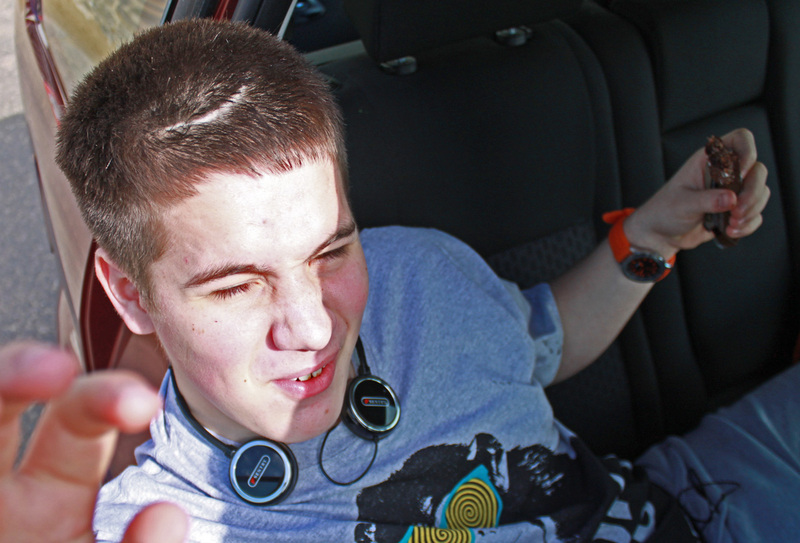 Then it was back to the college to settle him in. When all is said and done I think we were more nervous than Jeff - he wanted us to be gone as soon as possible. A lovely bonus on the way home, we stopped off to see Bones for tea and cakes, with Boots giving us the big baleful eyes treatment to try and wangle some cake. I have had calls all day long from friends and relatives telling me all about this new canal boat programme, screened over 6 weeks as he restores a down at heel trad along with his carpenter friend Mavis. This is a showcase for industrial revolution technology, hung together as they build all they need to restore nb Reckless. Guy's delivery is Fred Dibnah - esque, complete with blue boiler suit and Lancashire accent, supported by Liza Tarbuck who provides the background commentary. These guys seem to have started on the Bridgewater but in a flash they are onto the Anderton Boat lift and in the next scene they are at the Black Country Museum to cast / smelt Iron, then to Stone to throw a pot or two (I thought Wedgewood was closed?). Challenging boating geography, but mouthwatering stuff. Smelting Iron - I love it! I have never seen this process before, raising the temperature and getting mix just right - " as delicate a balance as making a souffle". It looks dangerously exciting to me. Now its "green sand casting" - that's something I remember from my schoolboy metalwork classes. Tragedy - the resulting metal is more lumpy slag than pure iron, so 20th century technology is drafted in to save the day and create the perfect pot. It may have been a semi failure but it does serve to illustrate how clever those industrial revolution boyo's really were. Conclusion? Interesting and educational but maybe not as much about boat restoration as I had expected. None the less, it's definitely one to watch. I miss Fred and maybe Guy is the man to step into his hobnailed boots.